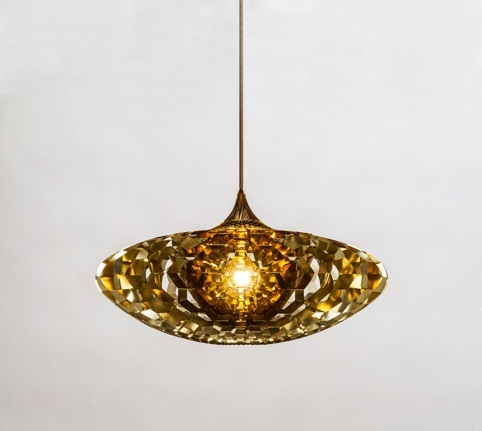 Gallery Fumi is one of the most exciting of the London galleries specializing in contemporary design. 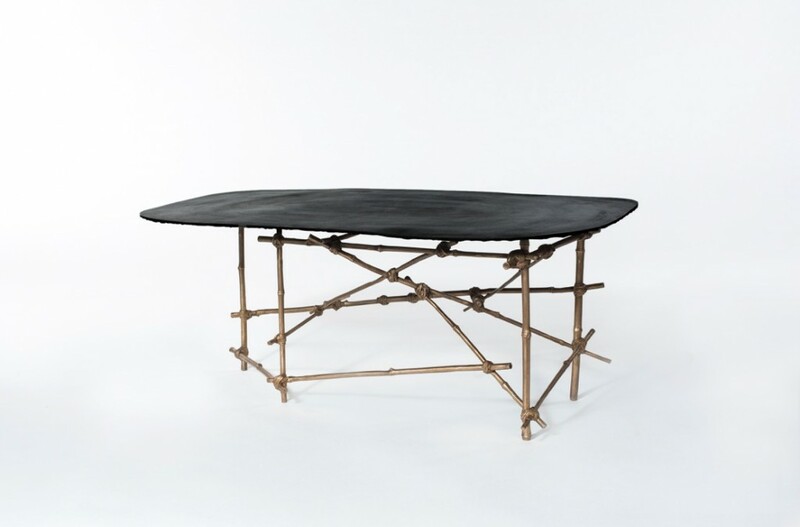 Their booth is always one of our first stops at PAD Paris! 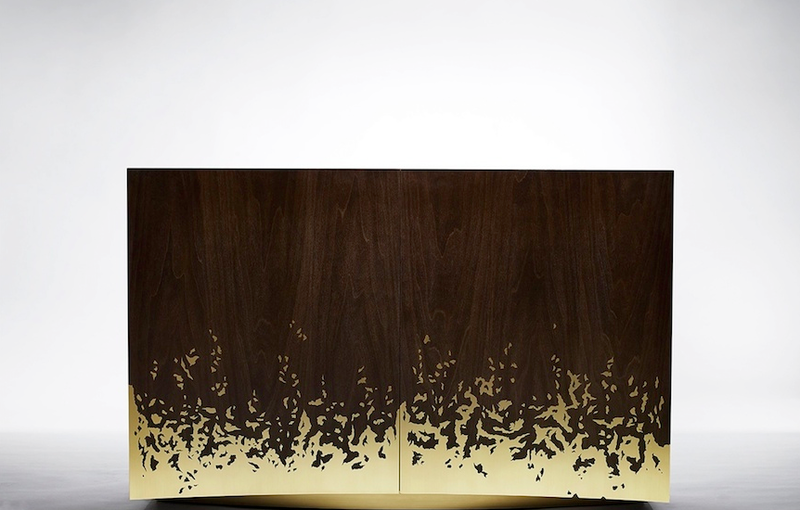 This year was no exception and we loved the Blaze cabinet in brass and tulip wood by Alex Hull and the ‘Mise en Place’ table in bronze by Glithero. Sam Pratt, co-director of the gallery, was kind enough to answer some questions, despite his very busy schedule preparing for the gallery’s summer opening in Sardinia next week. What is your philosophy? 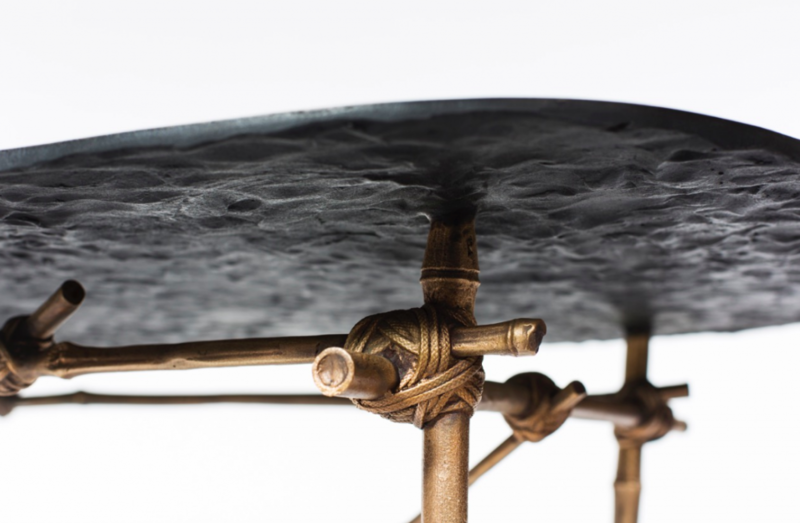 Gallery Fumi promotes a unique vision: a distinctive aesthetic based on a curiosity about materials and what they can do, and it fosters attitudes to object-making which are gestural and playful. It combines the beautiful with the teasingly provocative and recognizes the sheer power of objects to communicate ideas. We are unafraid of the unconventional, embracing change and the new, while promoting the value of craftsmanship. 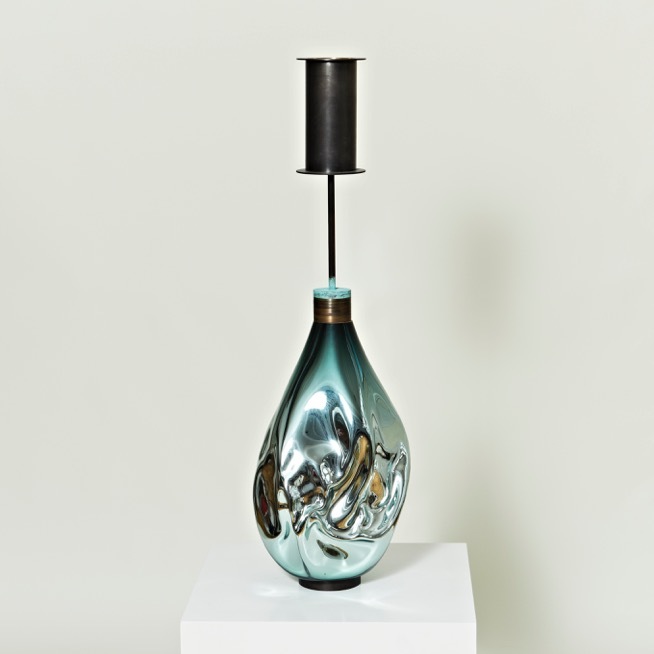 ‘Liquid’ lamp in blown glass, brass and LED, 2013, by Jeremy Wintrebert. Edition of 11 + 1AP. What trends do you see in contemporary design in England at the moment? There are so many! Trend could equal a fad and like fashion could last one season and its gone. My recent observation is that stone and other natural materials are being used more. I do see more ecological and technology related work either in the making or in the piece itself. The one trend I tend to focus nnd appreciate more is the increasing focus on craftsmanship which of course we at Fumi champion. When all fails, I think good craftsmanship will be the one to stand the test of time….and trend! 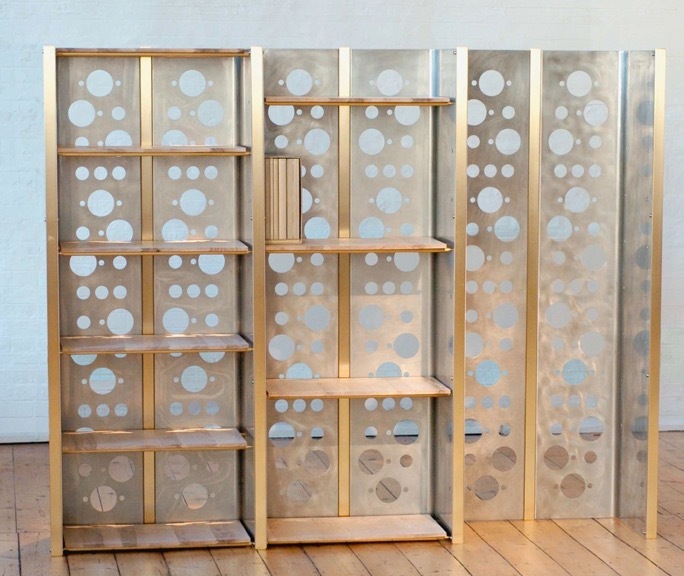 Book shelf/screen, 2010, in ash, stainless steel and brass by Thomas Lemut. Edition of 3 + 1AP. 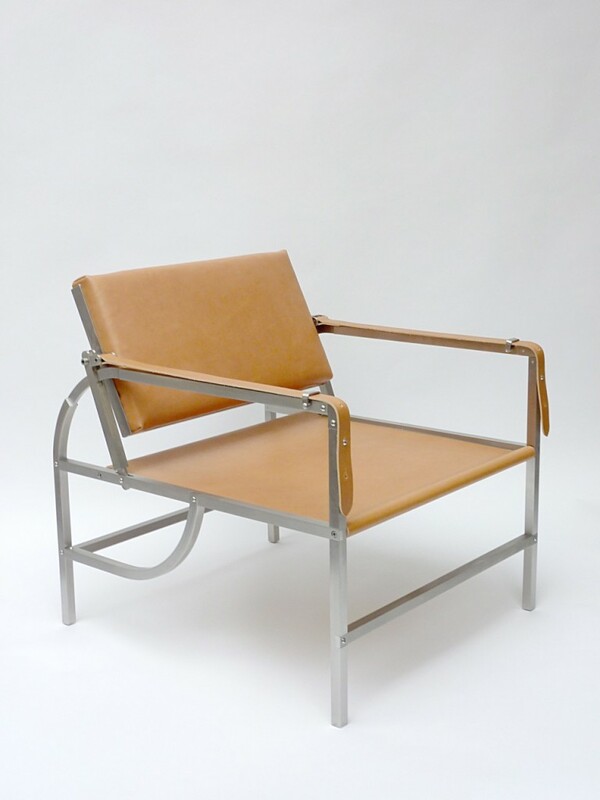 ‘Newcair’ armchair, 2015 in stainless steel, leather and brass by Thomas Lemut. Edition of 8 + 2AP +1P. You exhibit at PAD Paris as well as several other international fairs. What do you see as the role of the design fair in today’s market? Is its role continually evolving? I believe fair organisers and galleries are constantly trying to evolve and improve, they owe it to the visitors and clients ! The fair situation is a highly demanding and competitive one and there is a constant need to improve and be better. Galleries spend a fortune these days on stand set up at these fairs in an effort to be different and thereby impress and attract clients. 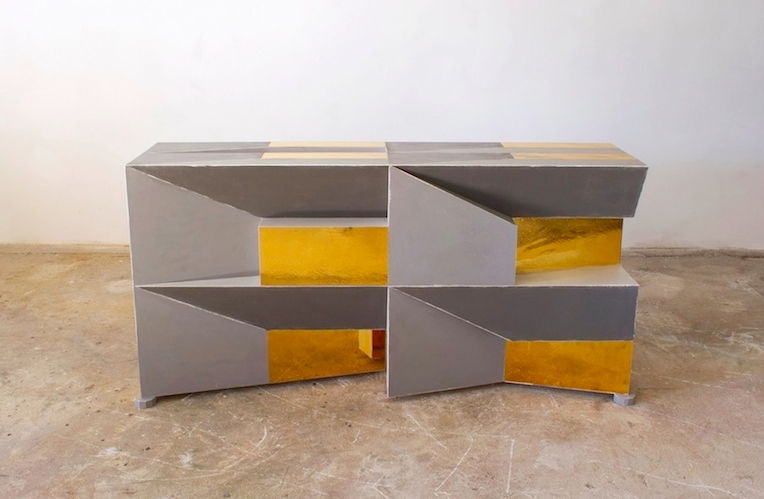 The design fair has gained in importance over the last few years as people look to other avenues apart from art to express the need to surround themselves with beauty and make their lives more meaningful. The fact that the art market has been somewhat dull in the past few years might have helped fuel that attraction to design. 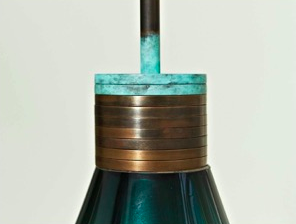 ‘Singularity’ light in brass and acrylic, 2015, by Bob Lorimer. Edition of 3. What do you look for in the artists you work with? Of course talent and promise but also almost as important for us at FUMI is that we like the artist as a person. We never work with anyone we do not like. We strongly believe this is the only way to have a good long lasting relationship. 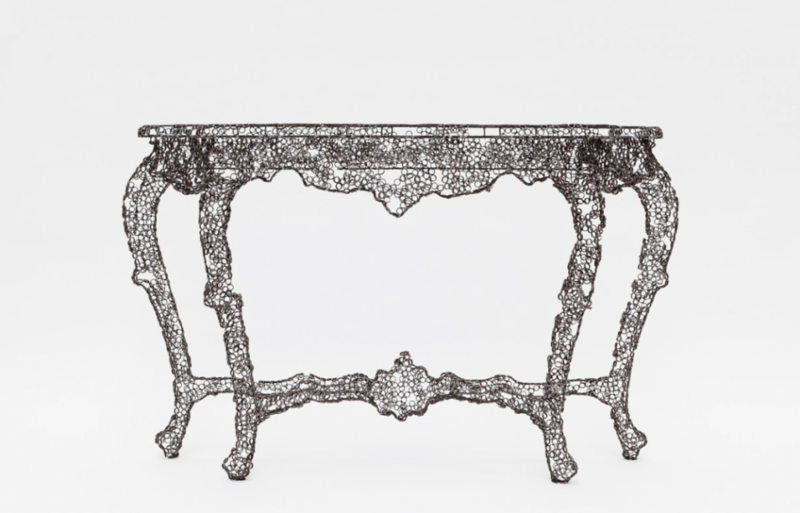 ‘Engineering Temporality’ console, 2015, in steel by Tuomas Markunpoika. See our previous post on the work of this talented designer. What inspires you? I could be somewhat fickle and say beauty which does, but there are all sorts of things…travel, music, conversation. Could you tell us about the present exhibition showing the work of Sam Orlando Miller in your London gallery with its very intriguing title. ‘Tra l’occhio e l’ombra’ is the first solo show at our gallery by artist Sam Orlando Miller. Its a very different body of work from him and a change in direction. 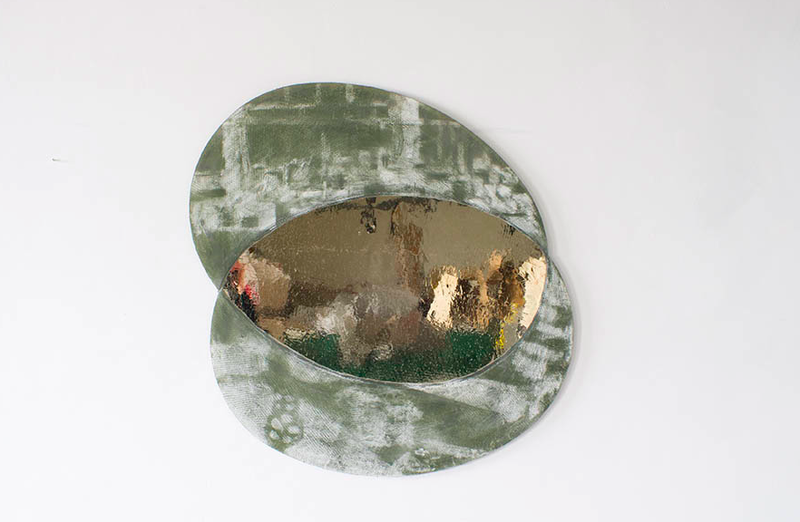 For many years Sam from his studio in Italy has worked with glass largely making beautiful sculptural wall mirrors, patinated and otherwise. The title translates into “Between the eye and the shade”. He describes the choice of the title as, “When light is low or fading, when the quantity of visual information is reduced and a point of uncertainty is reached, like when you are standing in a field and can no longer make out the leaves of a tree, a fleeting moment can occur when you suddenly understand the entire landscape and yourself standing there with time stretching out around you in all directions”. In the show there are two bodies of work: Sguardo Cubetti (roughly translates to View small cubes) where all the works in the series spring from one imaginary perfect object. This standard takes the form of a cube that has had its surfaces divided by a trompe d’oeil three-dimensional grid, and in turn this illusion has partially been given actual depth in the form of a box with a door. Sam says of these works ‘Opening a box always offers the chance of the unexpected, a small thrill of anticipation irrespective of what the box might or might not contain. This work is about that moment; between the visible and invisible, inside and outside, reality and illusion’. The other body of work, the mirrors is called Nostalgia Futuro (translates to Nostalgia Future). In these works, the image of the studio interior seen in the mirror is painted onto the over-lapping, patinated plane around the mirror itself. There is a difference between the patination and the painting that is deliberately elusive. What advice do you have for collectors? The proverbial, buy what you like!! Never be swayed by trend. You have to live with it and you should want to live with it for a very long time!! ‘Tra l’Occhio et l’Ombra’ showing the work of Sam Orlando Miller, runs through to 30th June. Fumi Gallery, 16 Hoxton Square, London N1 6NT.